On Monday, I posted that HTC reported over the weekend that they would start shipping the HTC 10 to those who had pre-ordered the device since its announcement last month. Based on a tweet from the company yesterday, those shipments have now begun. We’ve got good news: if you pre-ordered an #HTC10, they’ve now started shipping. We’re fulfilling orders as they were received. It is certainly good news for those who have pre-ordered the latest flagship device from HTC and with the praise the phone has received so far, disappointment will likely be low for new owners. It is certainly a step in the right direction over the One M9 of last year. display will be super sharp and easy on the eyes for sure. It is powered by a 2.2GHz quad-core Snapdragon 820 processor and has 4GB of RAM. Storage on board the HTC 10 will be either 32GB or 64GB but you can expanded that up to an additional 2TB (that’s right, terabytes) with the MicroSD slot. Like most flagship devices today, the HTC 10 sports a fingerprint reader and is also using the new USB Type-C connector. Where the real improvements for this phone have come however are in the cameras. The rear camera is a 12MP f/1.8 aperture shooter with laser autofocus while the front camera is a 5MP unit that is also a f/1.8 aperture. The rear camera is using a 1.55µm pixel size so the photos should be crisp, something that has not been the case in previous HTC phones. 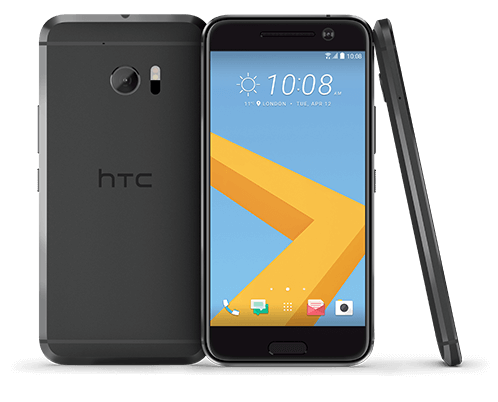 The improvements around the cameras along will make the HTC 10 stand out from previous models but wrap up this entire package of specifications and you have a serious device for the market. If you want to get your hands on the HTC 10, you can still order it from HTC directly.